It’s no secret that Thailand is blessed with some of the best tropical islands in the world – turquoise waters, white sands and the sweltering sun are the first things that come to mind. But add to that the rich Thai culture, Buddhist temples, delicious cuisine and some of the best limestone karst creations this world has to offer, and it’s no wonder they’re a firm favourite with globetrotters. And while famous islands such as Koh Phi Phi or Koh Samui welcome visitors in their thousands, there are still places that are relatively undiscovered. Reckon those places are more your cup of tea? Well here are our top picks, along with tips on how to get to them. Bear in mind, all of these islands are located in the south of Thailand. That means the quickest and easiest option is to start your journey by flying from Bangkok to regional airports such as Krabi, Surat Thani, Trang, Phuket or Koh Samui, and then get an onward ferry from there. Hop on over to the Cheapflights website, where you can search and compare flights, and remember, often the earlier you book the cheaper the tickets are – you can buy one-way tickets from Bangkok to elsewhere in Thailand for as little as £15. Made up of 11 islands, the Similan Islands are north of Phuket, and the largest island Koh Similan is an absolute winner. As you can imagine, it’s what you’d expect from a Thai island – white sands, crystal clear blue waters and swaying coconut trees. It’s also home to a world-class scuba diving and you can get close to marine creatures such as sharks, rays and hundreds of species of tropical reef fish. 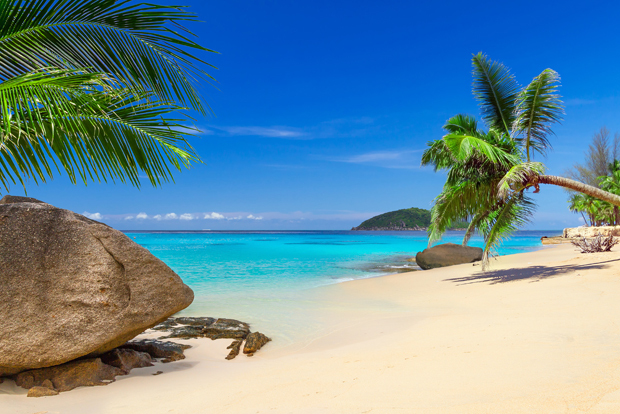 The easiest way to get from Bangkok to the Similan Islands is to catch a flight from Bangkok to Phuket (have we mentioned you can use the Cheapflights site for that?) and then purchase a ticket straight to the islands through one of the tour operators that can be found at the airport. This transfer will have both land and sea transfers, but it is the quickest and most convenient way. For more information on how to get to Similan Islands, click here. The fastest way to get to this island is to fly to Trang from Bangkok and then get a ferry either to Koh Lipe or Koh Lanta. From both of the islands you can get a speedboat or ferry (check ferry schedules for the latest updates) to Koh Bulon Leh. For more information on how to get to Koh Bulon Leh, click here. ‘Always go to the road less travelled’, is a quote that represents going off the beaten track, but in Koh Phayam there are no roads! 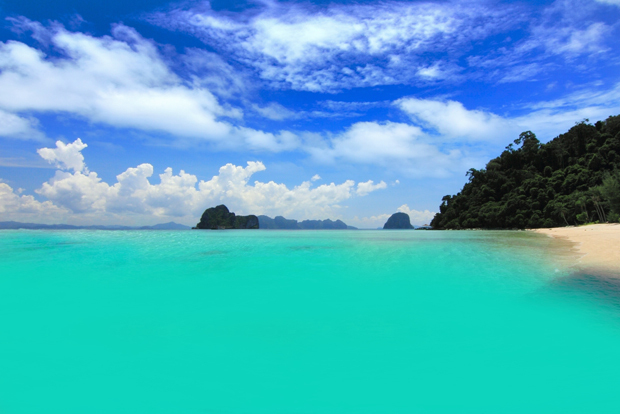 It is locally seen as one of Thailand’s most undiscovered islands due to its lack of basic infrastructure. 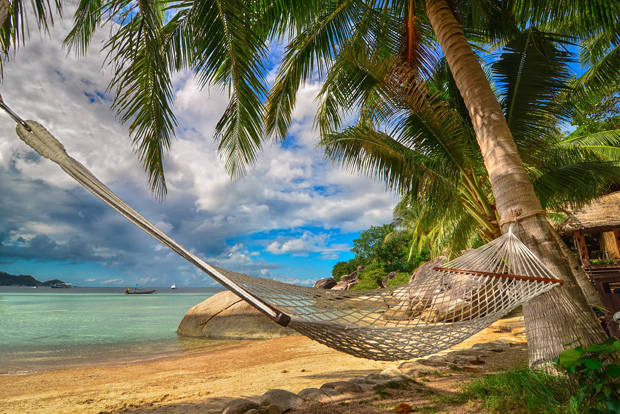 Sensationally beautiful and desolate, Koh Phayam has yoga, kite surfing, diving, snorkelling and more. Don’t forget to bring cash with you as there are no ATMs on the whole of the island. The most convenient way to get to Koh Phayam is to fly to Surat Thani and then get an overland transfer to Ranong. You can then catch a ferry to Koh Phayam. You can get some seriously cheap flights from Bangkok to Surat Thani using the Cheapflights website, with fares as low as £15 each way – try to book in advance and fly on weekdays rather than weekends. For more information on how to get to Koh Phayam, click here. From Bangkok you need to travel south to Rayon or Trat from which you can catch a ferry to Koh Chang, then make your way to Laem Ngop pier which is only 10 minutes from Chang. There are ferries and speedboats available at the pier that will take you directly to Koh Mak. 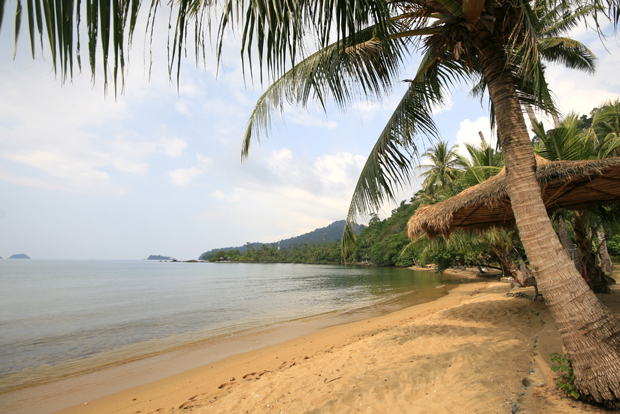 For more information on how to get to Koh Mak, click here. Despite being located between Krabi and Phuket, Koh Yao feels like it is a world away. Koh Yao is actually a group of islands but Koh Yao Yai and Koh Yao Noi are the two main ones. Koh Yao is strictly for beach chilling, hammock swaying and rice field gazing. By far, the easiest and quickest way to Koh Yao is to fly from Bangkok to Krabi and then get a ferry from Krabi to the island. Tickets can be really cheap – compare the fares and remember, the earlier you book the cheaper the tickets usually are. For more information on how to get to Koh Yao, click here. 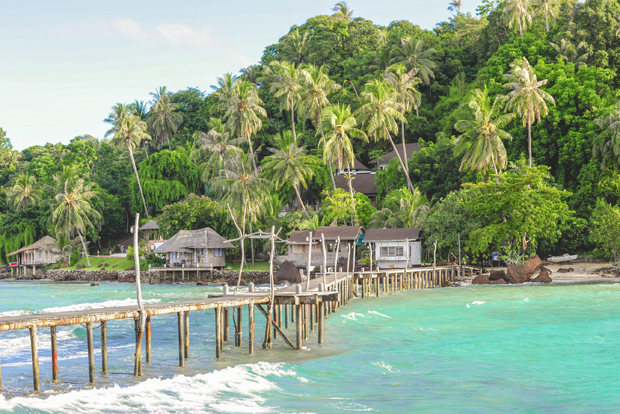 A gateway to the Andaman Sea, Koh Mook is somewhere where your hashtag would read ‘#ParadiseFound’. The colour of the sea here is crazy emerald, great for your Instagram feed. The local community living here isn’t huge, but the few who call this their home are a bunch of friendly people – so make sure to make some friends while living that island life. The nearest town to Koh Mook is Trang where you can easily get to from Bangkok by air. 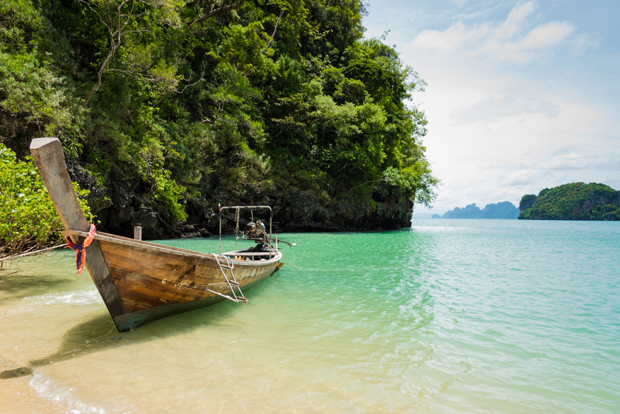 As Koh Mook is part of the Trang province you’ll be able to take a boat from there daily. You can also take boat trips from other Thai islands such as Koh Lanta and Koh Lipe. Tommy is a freelance travel writer from North-east England. His favourite outdoor places in the world are the Galapagos in Ecuador, Angel Falls in Venezuela and Banaue in the Philippines. You may find Tommy practicing hot yoga in the morning, wandering through exotic rainforests during the day or drinking whiskey at a dive bar in the evening. Check out his website, The Wandering Walker.